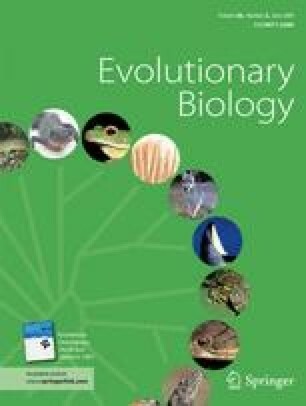 Evolutionary radiations, times of profound diversification of species against a broader background of more muted evolutionary change, have long been considered one of the fundamental patterns in the fossil record. Further, given the important role geological, environmental, and climatic processes play in causing speciation, analyzing the biogeographic context of radiations can yield important insight into their evolutionary mechanisms. In this study we examine biogeographic patterns and quantify rates of speciation in a diverse group of Devonian trilobites, the calmoniids, that has been hailed as a classic paleontological example of an evolutionary radiation. In particular, a phylogenetic biogeographic analysis—modified Brooks Parsimony Analysis—was used to examine the processes and geographic setting of speciation within the group. Results indicate that the Malvinokaffric Realm was a geographically complex area, and this geographic complexity created various opportunities for speciation via geodispersal and vicariance that created the fuel that fed the speciation in these taxa. Part of the geographic complexity was created not only by the inherent geologic backdrop of the region, but the overlying changes of sea level rise and fall. Rates of speciation were highest when sea level was lowest. Low sea level encouraged isolation of faunas in different tectonic basins. By contrast, sea level rise facilitated range expansion and geodispersal to other distinct tectonic basins, and speciation rates concomitantly fell; however, the taxa with the expanded ranges were later fodder for diversification when sea level fell again. Here we present a view of evolutionary radiations driven fundamentally by external abiotic factors—geology and climate—that cause range expansion and opportunities for geographic isolation with resultant rapid speciation. We thank the Panorama Society of the Natural History Museum and Biodiversity Research Center (to FRA) and NSF DEB 0716162 (to BSL) for funding and Ed Wiley, Benedikt Hallgrimsson, and one anonymous reviewer for comments.